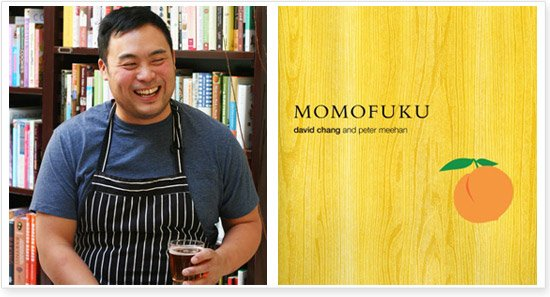 Did you know that David Chang and the Momufuku gang had published a science article on their pork bushi? Yeah, I hadn’t either. But I found it while researching homemade miso (I’m giving serious consideration to making my own peanut miso). Here’s the link to the article. It has the outline/recipe, more or less, on how its done. I don’t think I have much to say about tonight’s lecture. It was more formal than David Chang’s lecture last year, and it was solely about edible bacteria, whether it’s from lacto-fermentation, inoculating fish that has been steamed/smoked/deydrated with koji mold (katsuobushi), dry aged beef, or David Chang’s own invention of pork bushi. Yesterday was the last SEAS science and cooking lecture of the semester. The guest was David Chang (with his R&D chef in tow). Walking into the lecture hall, the first things I noticed were 1) David had pots and pans simmering with things at the front of the room, and 2) the room smelled like dashi. Mike Brenner kicked things off with the usual sponsor spiel, but he also mentioned that the student final projects were in competition where the students had chances to win stuff. (Again, why didn’t I have such a cool class when I was a college student?!) Mike also showed up an 8-minute slide show presentation that summarized the semester in photos. There was a snafu with the presentation. The accompanying music was supposed to be David Bowie’s “Major Tom”, but we heard Alvin and the Chipmunks at first. Poor Mike! But it was a good way to start off the lecture, I think. It put the audience in humorous spirits. David’s lecture was about making mistakes and working with the limitations of your environment. His first restaurant, ko, only has 12 bar seats. His second restaurant, ssam bar, started out as a large failure. It was originally supposed to be Korean-Mexican. In his words, “if you build it, they will come but nobody came.” He expected ssam bar would end up closing its doors, but with failure he found the freedom the create whatever he wanted and he didn’t have to worry about reviews anymore. In the end, ssam bar was reinvented. His dessert location, milk bar, started out with only 700 sq. ft. It has a new kitchen in Brooklyn which much, much larger. And with the new space, his pastry chef has to figure out how to utilize the space since cooking in a small kitchen feels drastically different from cooking in a large kitchen. David emphasized documenting your failures (well, you should document your successes too but David claims that he’s bad at that) repeatedly. He believes that it’s the progression of failures that leads to success, and that it’s impossible to succeed on the first try. He moved onto recipes first with his kombu dashi. Kombu (aka kelp) should be simmered at 60C for optimum flavor. His dashi at noodle bar takes 16 hours to make (simmered a long time with the kelp liquid, chicken, pork, and shiitake) but he’s trying to find ways to cut that time down. Right now, David and his R&D chef are developing a way to make the dashi with freeze-dried chicken and pork, and essence of vegetables/herbs (“Carrots are the only thing you need”). It’s “instant ramen soup on [his] own terms.” The recipe itself has been worked out and this cuts the cooking time to about 15 minutes, but freeze-dried meats is cost prohibitive. So, he’s now trying to figure out a way to obtain his own freeze drying equipment. David prepared a bowl of Momofuku ramen for us to watch. It’s got scallions, pulled pork shoulder, pork belly, fish cake, and an egg in it. Instant ramen it is not. The third recipe was for “pork bushi.” There’s a lot of Japanese influence in David’s cooking, but he’s confined by the fact that he’s located in NYC and not in Japan. Katsuobushi is a Japanese product where skipjack tuna (aka bonito) is cooked, smoked, and then allowed to dry/ferment. The fish becomes petrified. To use, the final product is shaved thinly, and the shavings are used in cooking. Technically, you can get katsuobushi in the States, but it will always be an inferior product. This got David thinking. Meanwhile, Rachel and three microbiology students went about identifying the bacteria on the pork-bushi and mapped out a bacteria tree. 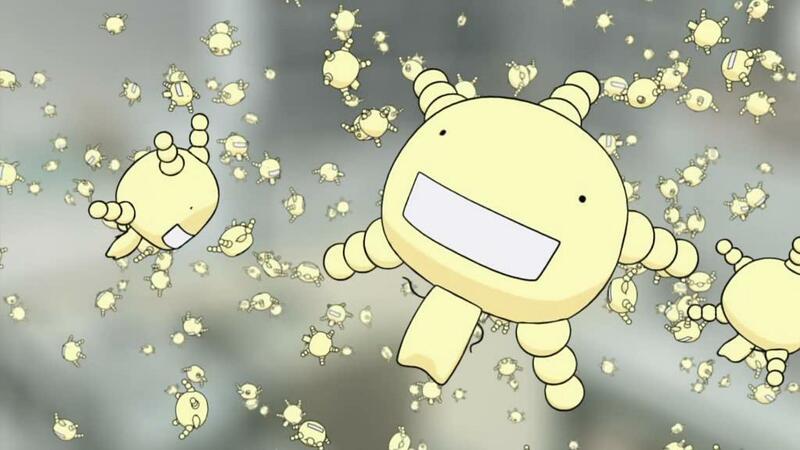 A few of the pork bacteria are possibly new bacteria (to which David started cheering in the background and asked if the bacteria could be named the Momofuku bacteria). The pork-bushi process is thus: use pork tenderloin and other pork scraps, must be less than 5% fat, and grind up the meat. Mix in 2% Activa RM (meat glue! ), and shape into a loaf pan. Vacuum out the air a few times. Steam the pork log to 100C, and smoke the log for 5-6 hours (I think David said that he used hickory chips for smoking). Cover the logs with rice, and let it ferment. The final pork-bushi is very solid and hard. It is basically petrified. The smell is very earthy and smokey (when I got home last night, I swear that I could smell it on my clothes! ), and very reminiscent of katsuobushi. Use it like katsuobushi. Shave thinly, bring shavings and water to a boil, and then let it steep like tea. Season it with soy sauce, sake, and mirin. The final recipe was “kuzu noodles.” Kuzu is Japanese wild arrowroot. Originally, David imagined making a kuzu noodle by using a CO2 canister and shooting a kuzu dough into hot water, so that it would cook into shape. It didn’t work, and it still doesn’t work. Instead, David uses the CO2 canister to foam up a large ball like thing of the kuzu dough. He lets it steam for 30 seconds and then bastes it with the soup. It’s a weird, irregular blob, but he serves it that way, topping it with looked to me like seaweed and chives. And it works. At the end of the lecture, there was a Le Creuset raffle. Alas, I didn’t win any of the pots (I was coveting the 4.5 qt dutch oven in all honesty), and I heard people trying to buy them off some of the winners on my way out of the lecture room. The audience pressured Mike Brennan to raffle off the chance to eat/taste everything that David was making during the lecture. lol! But I didn’t win that either.